Watch Light Switch Video below! Robert and Sharon need some light on their front porch in Florence, KS. "We bought a older ranch house that doesn't have a front porch light or switch. How can we add one? And where would we get the power source from?" Well, this is an open-ended question to be sure! There are so many variables. It is a solid masonry house? Is it a simple frame home with an open basement where it's easy to fish a cable up into the wall next to the front door? Is it acceptable to have the light on the wall right next to the door, or do you want it in the ceiling of the porch away from the house's exterior wall? I could go on and on with questions. CLICK HERE NOW to get FREE & FAST BIDS from local electricians who can do all the crazy steps to add this new porch light for you. Here's a typical remodeling box you'll probably use for the light switch. This is a box made to install in an existing wall. See the flip-up tabs that lock behind the drywall? CLICK THE PHOTO NOW TO HAVE THIS BOX DELIVERED TO YOUR HOME. You add one by extending a new electric cable from an outlet or the electric panel to the new switch location. This cable can originate from a wall outlet near the door. Wall outlets have continuous hot wires and a neutral and that's all you need to get a porch light to work. A typical porch light will only have a 60-watt bulb in it so there's little chance the new light will overload a common room circuit. Extend a proper-sized two-wire cable with ground from this box. Use a 14-gauge wire. Put cable in new switch box near door. 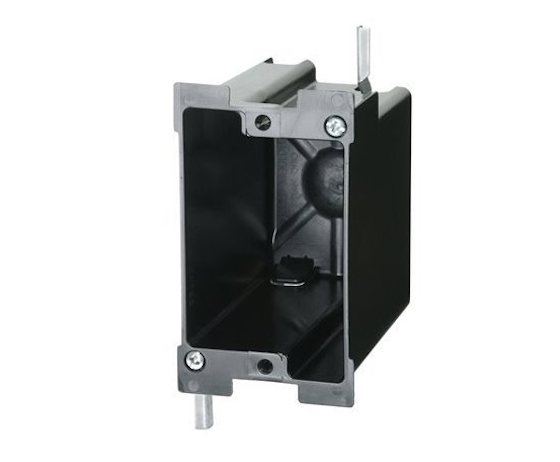 Extend another two-wire cable from new switch box to new porch light fixture box. Watch this video to see how to connect the wires to a simple switch that will turn the porch light on and off. Depending on how your house is built, extending these cables and installing the boxes can range from easy to very difficult. I'd simply get quotes from three different electricians and have them describe exactly how they intend to solve the problem and have the finished product meet your goals. CLICK THE FOLLOWING LINK to get the FREE BIDS! !